Parents, provosts, and authors of recent articles/discussion boards are questioning the purpose or viability for dance programs in contemporary university structures. An article in Dance USA from 2015 presents a narrow view of the role of collegiate dance. Understanding the wider lens on dance education, it can be an excellent path to career success. College programs in dance transcend training an elite artist/athlete. College training educates the student to become an artist/citizen with a depth of expertise in the physical forms as well as the historical, cultural, political and scientific aspects of dance. When Towson University dance major alumni from 2008-2013 were polled, 85.4% of respondents stated they were fully employed in dance or a dance-related field. Students can go on to be dancers, choreographers, and dance educators. In linking dance study with another major they also prepare to become dance journalists, anthropologists, physical therapists, or arts administrators. The dance major also develops skills that translate to other endeavors. Studying choreography involves developing the skills to conceive, research, design, edit, refine, and collaborate to produce a creative product, and move it from the rehearsal studio to a stage production for public view. The internationally recognized choreographer, dancer, director, and author of The Creative Habit, Twyla Tharp, describes the creative process as starting with a discipline and rigor of attention in a systematic pattern that develops into habit (read more about creativity and habit here). Through countless hours in rehearsal and performance, students practice and develop the creative habit. Greg Sample and Jennita Russo of Deyo Dances performing in the modern ballet Brasileiro by Barry Goyette. CC BY 2.0 via Wikimedia Commons. Dance, like so many other contemporary career paths, often consists of sequences of freelance work and requires skills in entrepreneurship to succeed. Many collegiate dance programs such as those at the University of Iowa, Arizona State University, and the North Carolina School for the Arts, offer courses in entrepreneurial skills or require courses in the business department to attain this set of strategies to become successful in the workplace. During 30,000 hours of teaching dance and movement efficiency and 35 years of teaching in college dance programs, I find people who chose dance as a college major to demonstrate a commitment to practice, focus, discipline, rigor, and reliability. Dance majors acquire skills to accept critical feedback, adjust outcomes through years of daily coaching in technique coursework. The full courses of study in most dance programs require coursework in technical, historical, scientific, and creative perspectives in dance. Companies such as Google are investigating learning from the skills taught in dance programs. Arts organizations, corporations, and foundations look for employees with the skills to think innovatively, work diligently towards a common goal, adapt to changing environments, embrace a commitment to the ensemble, push past physical and mental exhaustion, and develop a product in the vision and interest of that company. Whether a dance major moves forward to contribute to the world through artistic expression or discovers other interests along the way, they are marketable with skills to provide fertile groundwork for a productive work life and provide contribution to the community. In whatever endeavor follows after graduation, the dance major also carries deep skills for employment as well as an understanding of the profound importance of culture, art, and beauty in this world. Featured image credit: Discipline by Bruno Horwath. Public Domain via Unsplash. Nancy Romita is an author, anatomist, dance artist/educator, keynote speaker, & dance faculty at Towson University. She is co-author of Functional Awareness®: Anatomy in Action for Dancers. The second publication with OUP, Functional Awareness and Yoga: An Anatomical Guide to the Body in Reflective Practice, is scheduled for publication in December 2018. Allegra Romita is an author, dance artist/educator, keynote speaker, on faculty at NYU Steinhardt and Artistic Visioning Partner for Sydnie L. Mosley Dances. She is co-author of Functional Awareness®: Anatomy in Action for Dancers. 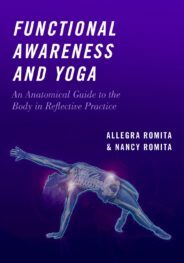 The second publication with OUP, Functional Awareness and Yoga: An Anatomical Guide to the Body in Reflective Practice, is scheduled for publication in December 2018. Thank you for highlighting the exceptional work that dance professionals in all fields do and continue to do to further the creativity and growth of society as a whole. Great article, Nancy. Looking forward to reading your next book on Functional Awareness and Yoga! Thank you for this, Nancy and Allegra! You both are such incredible advocates for dance and I appreciate you both! Dance go beyond what we see… It is beyond the physical movement. Dance is life; the friction of the body. Great article! Forwarding it to many students who are interested in pursuing a degree in Dance. Thanks for all that you both do!